Being able to create environments quickly is a valuable technique to learn when testing software. 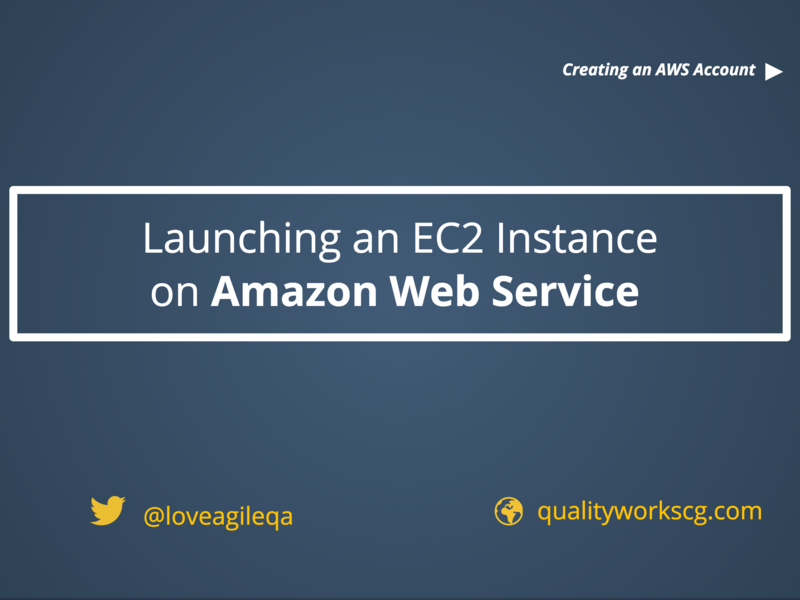 This tutorial will focus on how to create an Elastic Compute Cloud (EC2) Instance on Amazon Web Services (AWS). This tutorial was created with the intention of making the task as simple as possible, therefore, it is not a technical tutorial and does not go into too much details. However, we provide all the information that we believe are sufficient for creating an Elastic Compute Cloud (EC2) Instance on Amazon Web Services (AWS). We do hope you find this tutorial simple and fun. whoah this blog is great i like reading your articles. Stay up the good work! You realize, a lot of people are hunting round for this information, you could aid them greatly. Hello there! I just would like to give you a huge thumbs up for the excellent information you have got right here on this post. I’ll be returning to your blog for more soon. I am really impressed with your writing skills as neatly as with the format in your weblog. Is that this a paid topic or did you modify it yourself? Either way stay up the nice quality writing, it is rare to peer a nice blog like this one these days.. I passed the exam with 82%. I started of with Visualpath course which i got discount. from visualpath.in, Those who are starting with AWS certification can make use of the discount.